It occurred to me that I may be in need of a new “About” page since I have undergone a life altering experience and the old one just doesn’t fit me completely anymore? I am not fine…I am excellent! and getting better every single day. This state of mind has little to do with what’s going on around me and is much more dependant on what I carry around inside of me – which is JOY! From time to time I may hit a little slump or have a less than awesome day, but in general I am the eternal optimist. Just because I choose not to focus on them does not mean that I am not aware of bad things happening – I see them…but they will not define my day or even cast a lingering shadow on this grand adventure we call life. Baie mooi foto van julle 2—- dit lyk of jy ‘n kroon op het. The Queen Mom? “Antie Koekie” is officially ge-terminate. Ook tyd vir my om aan te beweeg, maar sy sal maar altyd in die skadus loer!LoL!! Hahaha, nee…dis nie ‘n kroon nie. 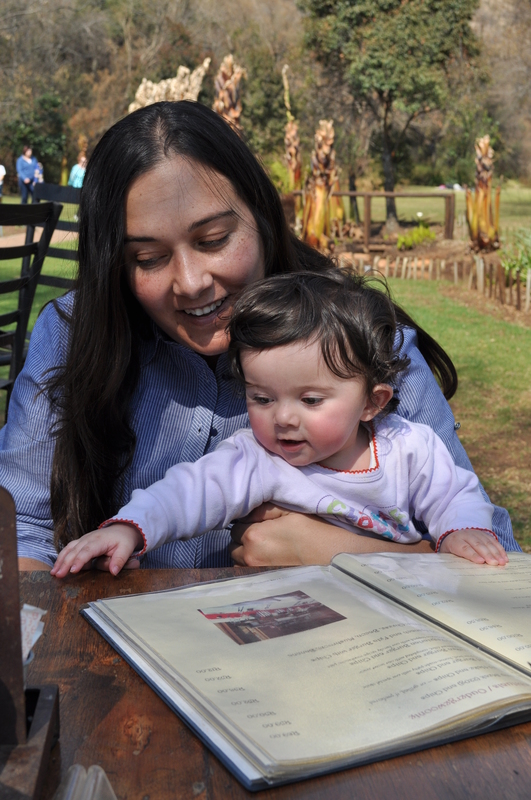 Dis ‘n dooie wit sterlitzia blaar in die agtergrond by die botaniese tuine. Ek moet eintlik weer ‘n vars fototjie hier opsit een of ander tyd. Daai een is al amper ‘n jaar oud! Hey Louisa, Thanks for stopping by my blog! As it turns out, I am a South African too and moved from Cape Town to Australia 13 years ago. Go bloggers! Small world hey? 😉 I found your blog through the WordPress tag surfer, but I’ll definitely be popping in again.